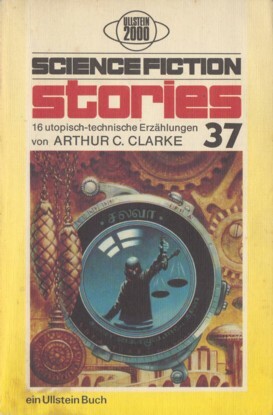 First german edition (not stated), that drops "Transit of Earth" & "A Meeting With Medusa" (the latter was published in Science-Fiction-Stories 43). The copyright is assigned for various years to the author. "Printed in Germany 1974" and "Ullstein Buch Nr. 3054" is stated on the copyright page.